Every year, Conventa is astonished by new stories of excellence that co-create the story of Conventa. To acknowledge these stories, Conventa awards the Hall of Fame title that goes to an individual or company that has with its extraordinary and invaluable effort made a mark and impacted the development of the meetings industry. 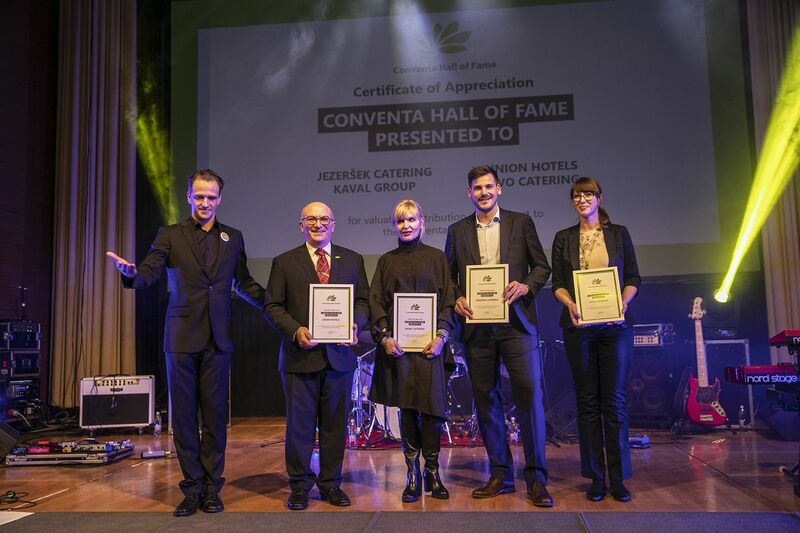 The Conventa Hall of Fame award for 2019 went to the catering partners of Conventa for the five-star experience that they have been contributing to Conventa for a decade. Conventa’s organisers noted at the announcement that the event’s official caterers have been Conventa’s partners since its inception. The amazing culinary aspect of the event has convinced many international organisers to bring their event to this region. The excellence of all of the partners has also been measurable, for Conventa’s team has been continuously receiving the highest evaluations for this part of the event. The awardees received the prize during the official Conventa’s ceremony held on 23rd of January 2019 in Grand Hotel Union.